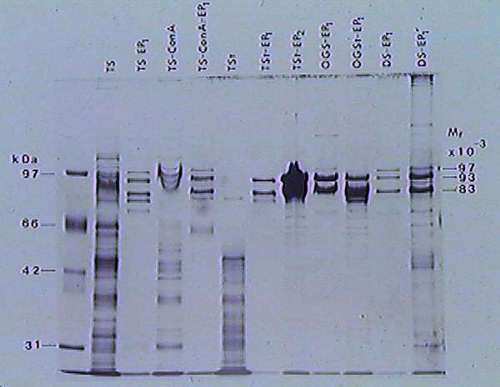 Here is the gel which shows the purification of an 83 kDa and a 93kDa polypeptide (right lane) using product entrapment. Also, a 96 kDa polypeptide was found. The 83 kDa polypeptide turned out to be the catalytic subunit (see the next several slides).